Want to learn how to beatbox but don't know where to start? We've got your back with this handy guide! Did you stumble across a really cool beatbox video and don't know where to get started? Don't worry, we've got you covered. Anyone can beatbox with a little patience! On the bright side - beatbox can be practiced anywhere and at anytime! Beatboxing is the musical expression of the body through the innovation of sounds and the crafting of music by only using the mouth, throat, and nose. Contrary to common belief, beatboxing remains to be a rapidly growing art form that transcends the sole replication of drums and sound effects and into full musical performances. Beatboxing is a primal human art form that utilizes the physical body as a versatile instrument. Musical expression through the body stands at the core of human communication, making beatboxing the most organic art form. Beatboxing fundamentally began in New York City in conjunction with the birth of the hip-hop subculture on the streets of Harlem. In the early to mid-eighties, three names stand out head and shoulders above the rest - Darren 'Buffy' Robinson, Doug E Fresh and Biz Markie. They are crowned as the first three pioneers of beatboxing in their own respective and innovative ways. Although the four elements of hip-hop, MCing, DJing, breakdancing, and graffiti, have garnered great respect in the global art community, we are still working on fully documenting beatbox history. Thanks to the internet, beatboxing has become a global phenomenon enjoyed by millions internationally. Battles and jams are held all over the world with the two largest events being the Beatbox Battle World Championships held every three years by Beatbox Battle TV and the annual Grand Beatbox Battle hosted by Swissbeatbox. There is also an incredibly large online community with beatboxers congregating on servers such as teamspeak. Other popular platforms include Whatsapp, Facebook groups, and Discord. Beatboxing is all about the community. Don't be shy! There are are numerous thriving local communities that may be in your area. If there isn't a huge scene by you, you can always join us on Facebook and join the online community as well. Whether you're completely new to beatbox and want to learn the fundamental sounds or if you're a more experienced beatboxer looking to learn new sounds, there are numerous tutorials on YouTube that can help you started. You can also continue onto the next section to learn the first three sounds. But because we're so awesome, we've aggregated the best for you over on our lessons page. Take some time to see the sounds section of the site. 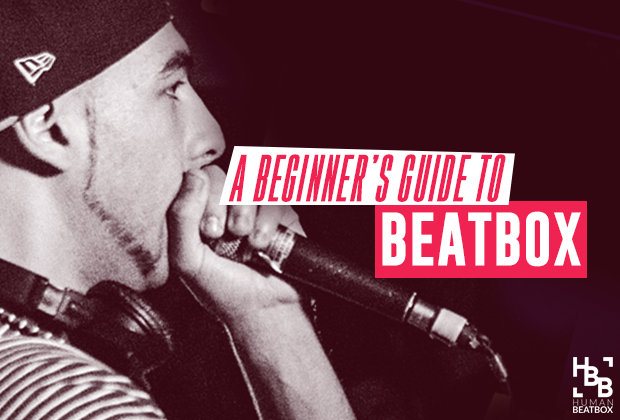 Here you will find all the basic sounds you need to start you on your beatboxing journey. Watch the videos over and over and over and over again. Don't worry, you will be able to do these sounds with PRACTICE! Some people take minutes, some people take hours and some take days or weeks to master a sound, however, if you are persistent you will get there in the end. This beat is kind of like the backbone for all beginner beatboxers. Learn it. Once you can do it comfortably without thinking you are ready to improvise on this pattern. Improvisation isn't too difficult to do either. Grab a pen and paper and write the pattern out. Try using Standard Beatbox Notation with the downloadable stave paper template. For example, try changing the snare for a handclap, the kick for a nasal base, whatever you like. Go crazy. All that matters is that you can keep it in time. Another great thing to do is to listen to your favourite songs (or any songs for that matter) and try to follow the beat. Try songs with simple beats to start with then work your way up to more complex songs later. Note: The great thing about beatboxing is that it is about you. There are no set beats you need to learn apart from that basic pattern. Originality is what makes beatboxing fun and innovative. Don't get people to write beats for you. You'll discover that there is more satisfaction in spitting a beat you have worked out for yourself. If you get stuck, try using the search facility - especially on the forum or Facebook pages. If, after an extensive search your question is still not answered, then by all means ask for some advice. Covers are always a fun way to improve your beatboxing. 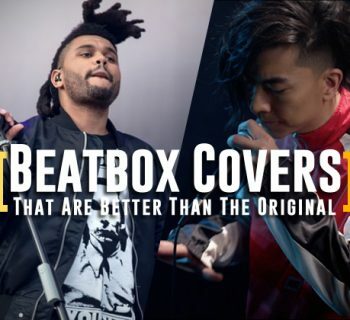 Nearly every cover done by the great beatboxers has been covered on the site or YouTube somewhere. You just have to look. If you really want to learn the cover you should be willing to spend the time to look for it. It's easier to pick songs you know and like, and any genre can be covered: dance, rock, punk, heavymetal, rnb, hip-hop, grunge, etc. Use your imagination. It's all about listening to what you hear and replicating it. Imitate, then create! 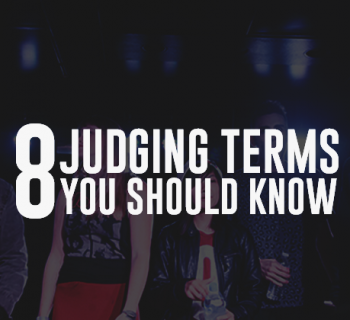 We cover this in our article 5 stages of beatbox expertise as well. So there you have it, a beginners guide to beatboxing in three easy steps. To become good at beatboxing you need to use your initiative, your imagination, common sense, and also practice! I can't stress this enough. You cannot learn to beatbox overnight, but there will be a moment where you just "get it" and everything clicks. Most people on HUMANBEATBOX.COM have been doing it for years and are still learning new things all the time. The difference with more experienced beatboxers is that they don't rely on others to tell them how to do something - they find out the way themselves. We are here to teach you how to beatbox. You have to teach yourself to beatbox. There is a difference in the two. "Give a person a fish and they eat for a day. Teach that person to fish and they will eat for a lifetime." Do you want to be a clone or unique? It is totally up to you. We can put you on to the path, however, it is up to you to choose your way. Want more great beatbox content? Subscribe below to stay in the loop! Subscribe for the latest beatbox news and updates!